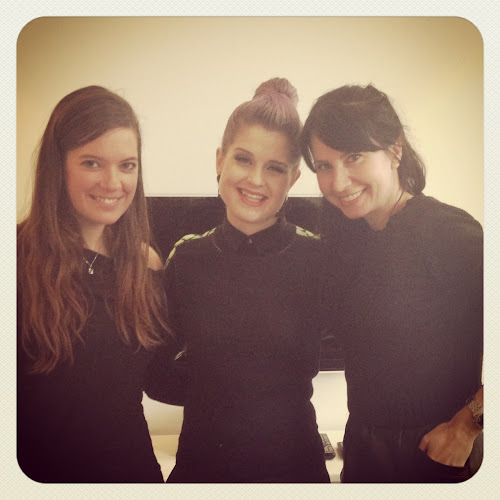 My meet & greet with Kelly Osbourne | WRITTENONSKIN. Wow, what a start of the weekend it was last Friday. Me and my colleague Marieke Brouwer got the opportunity to interview Kelly Osbourne about her new program ‘Fashion Police’ on E! Entertainment. Together with Joan Rivers, Giuliana Rancic and George Kotsiopoulos the Fashion Police panel pours through photo’s and video’s of the week’s most highprofile moments and fashion choices to point out the best and the worst in celebrity style. Sometimes quite hilarious. We could ask Kelly all kinds of questions about the program but that was it. No family- or health matters or any other private related topics…just fashion. With four other editors around the table the situation wasn’t ideal but Kelly rocked! What a cool personailty. She was quite open about her family; that she got interested in fashion at a young age through her mother and the fashion books lying around the coffeetable, but also travelling with her father made her see a lot of different cultures and therefore fashion styles. You can read the whole (Dutch) interview on Styletoday.